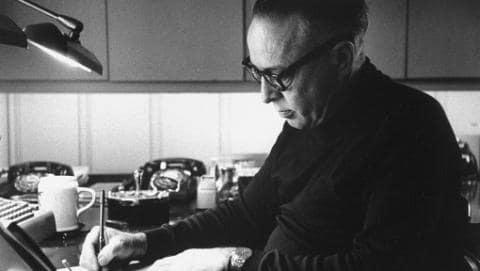 Dalton Trumbo was an American screenwriter and novelist, who scripted films including Roman Holiday, Exodus, Spartacus, and Thirty Seconds Over Tokyo. 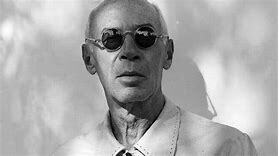 One of the Hollywood Ten, he refused to testify before the House Un-American Activities Committee (HUAC) in 1947 during the committee’s investigation of Communist influences in the motion picture industry. He was subsequently blacklisted by that industry. 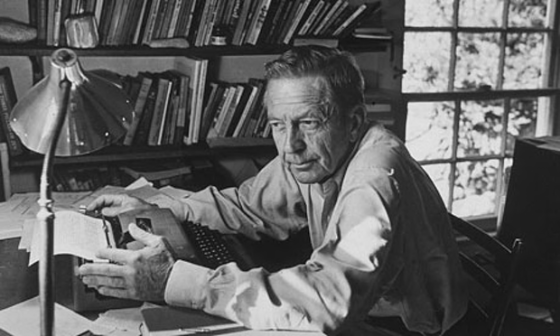 He continued working clandestinely, producing work under other authors’ names. 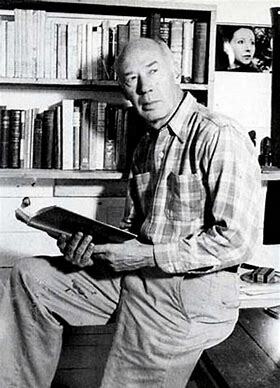 His uncredited work won two Academy Awards; the one for Roman Holiday (1953) was given to a front writer, and the one for The Brave One (1956) was awarded to a pseudonym. 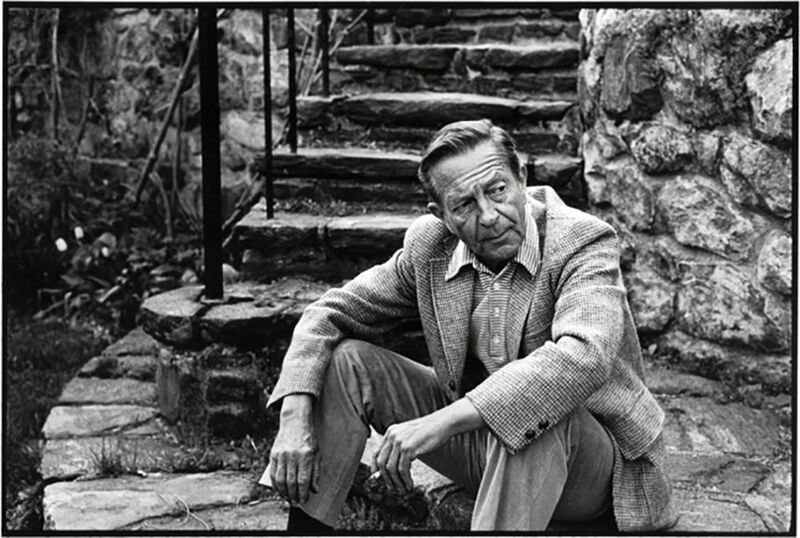 The public crediting of him as the writer of both Exodus and Spartacus in 1960 marked the end of the Hollywood Blacklist. 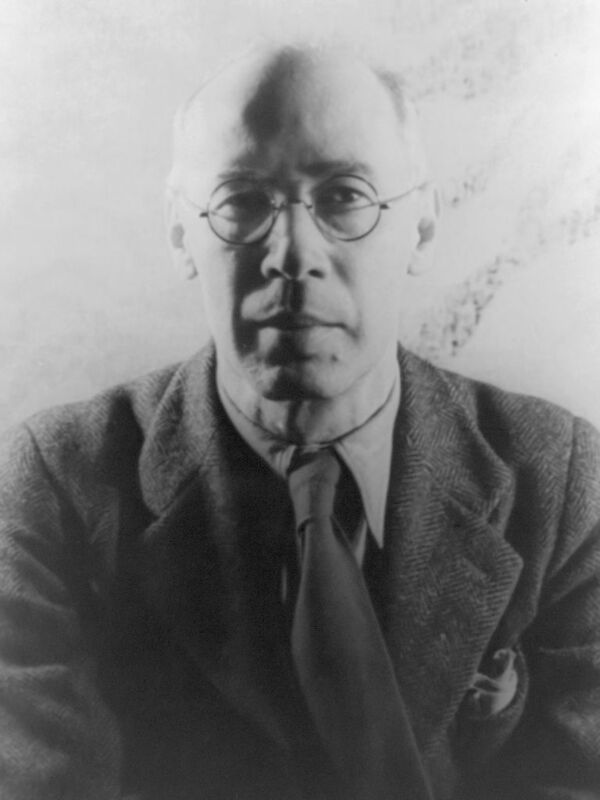 His earlier achievements were eventually credited to him by the Writers Guild, 60 years after the fact. 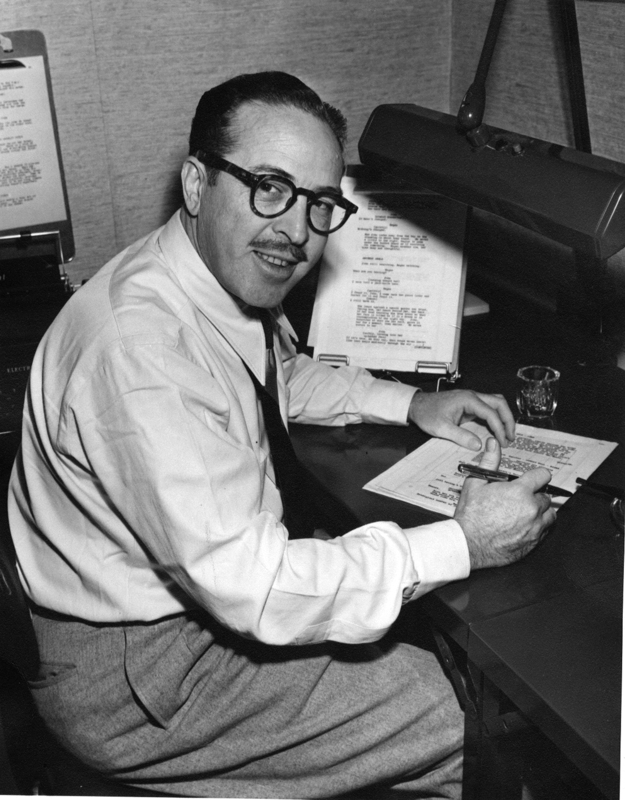 Writers often like to work in seemingly bizarre settings, but it must have been pretty amazing to walk in on Trumbo furiously working on a script. 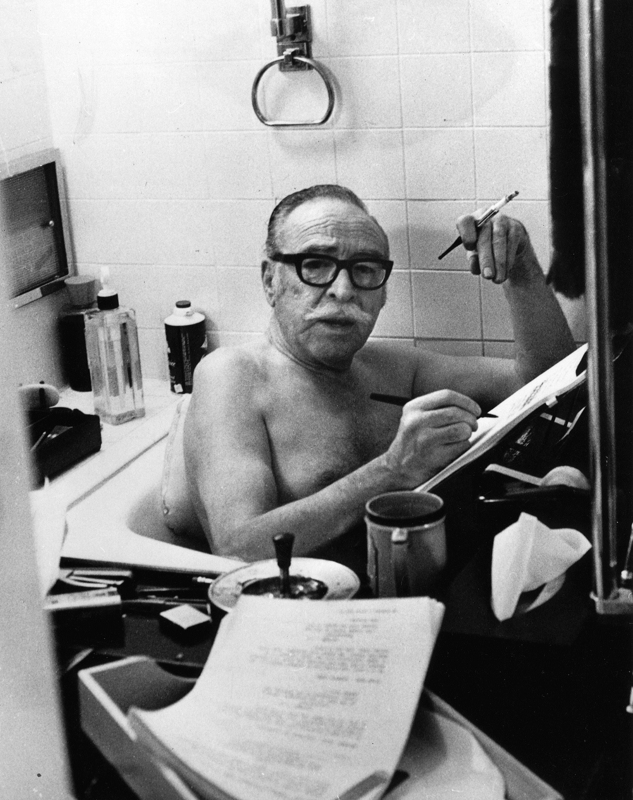 For starters, Trumbo liked to bang out his screenplays from the bathtub at night. Working from the tub isn’t so strange, but Trumbo often had company when he wrote: a parrot that Spartacus star Kirk Douglas had given the writer as a gift. 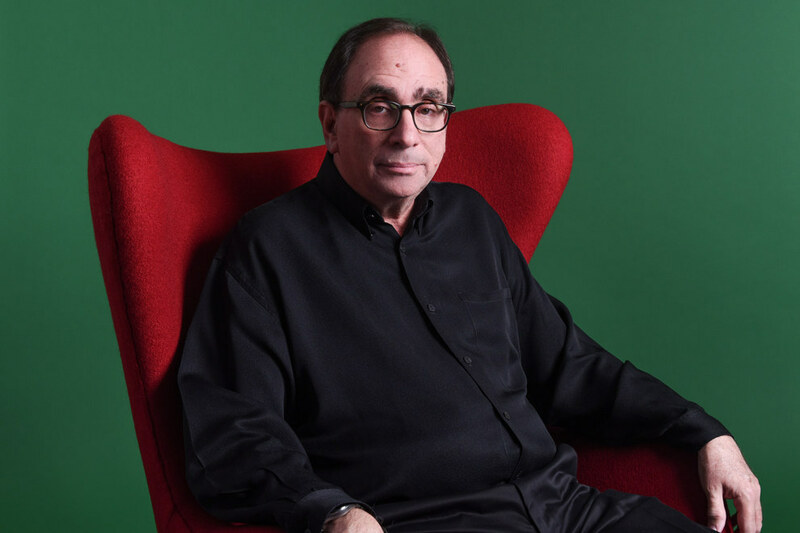 R. L. Stine … You give me Goosebumps! Robert Lawrence Stine (born October 8, 1943) is an American novelist and short story writer. 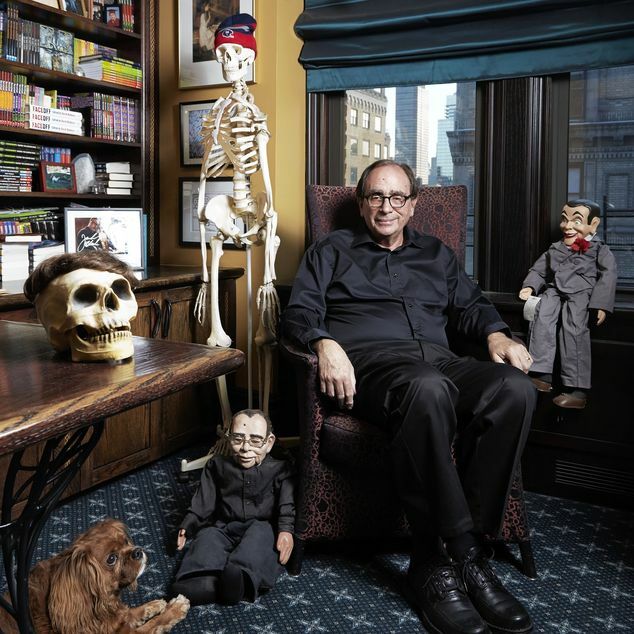 He has been referred to as the “Stephen King of children’s literature” and is the author of hundreds of horror fiction novels, including the books in the Fear Street, Goosebumps, Rotten School, Mostly Ghostly, and The Nightmare Room series. 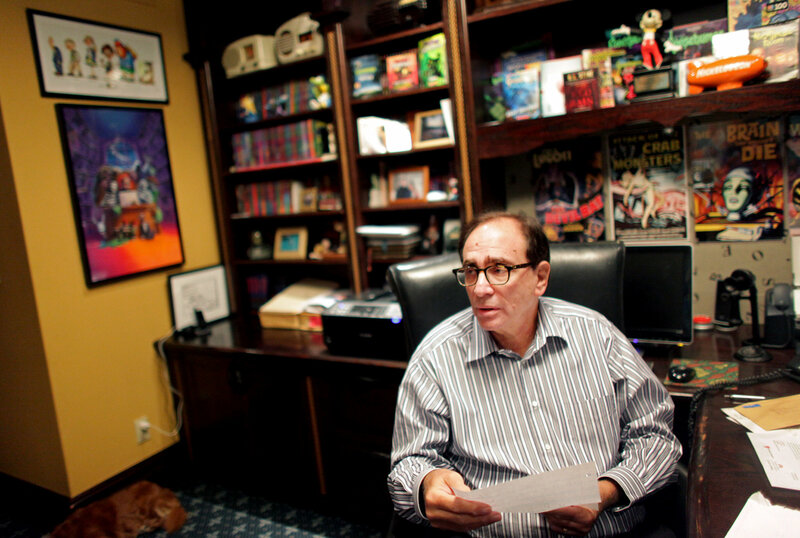 Stine’s books have sold over 400 million copies worldwide. I wake up. Brush down my werewolf fur. Devour one or two live chickens for breakfast. Then I work on my books. I usually write from 9 in the morning till 3 in the afternoon. Then I walk my crocodile and get ready to hunt or fish for my dinner. I outline every book first. I do a very complete chapter by chapter outline, and that’ll take four to five days, but then I’ve done all the thinking; I know everything that’s going to happen in the book. It makes the writing so much easier. Kids always ask me about writer’s block and I say if you plan out the whole thing first, then you can’t have writer’s block. You’ve done the hard part. And then I just have fun with the writing. It takes me three to four weeks to write a Fear Street novel. 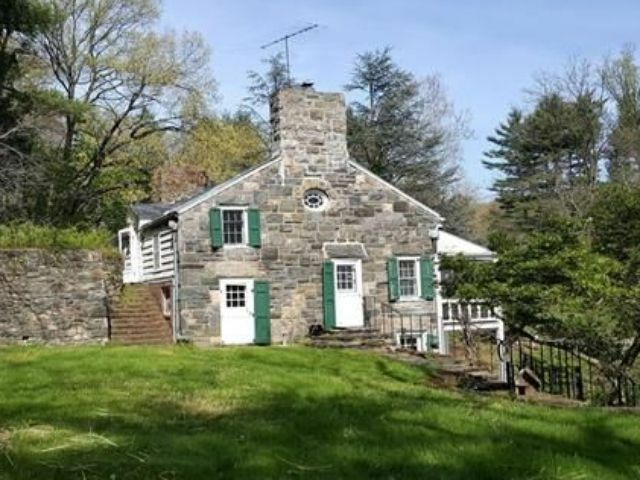 In two weeks I can write a Goosebumps novel. It’s like factory work: Every day I get up at like 9:30, 10, I sit down and I write 2,000 words, and then I quit. Five to six days a week I write 2,000 words. It’s fast. I work a lot. I work six or seven days a week. 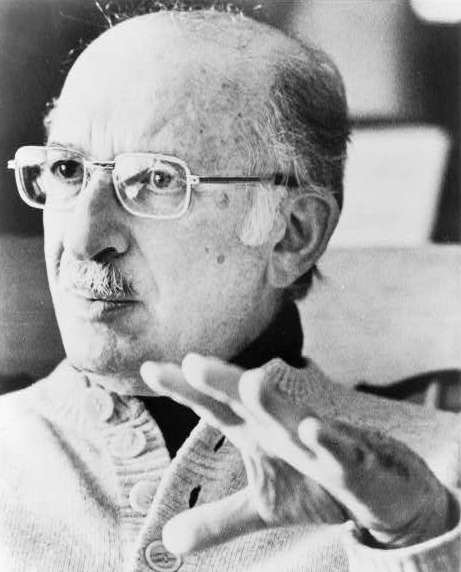 Bernard Malamud was one of the best known American Jewish authors of the 20th century. His baseball novel, The Natural, was adapted into a 1984 film starring Robert Redford. 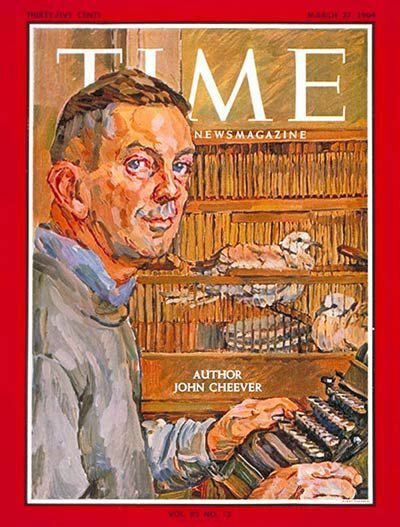 His 1966 novel, The Fixer, about anti-Semitism in Tzarist Russia, won both the National Book Award and the Pulitzer Prize. 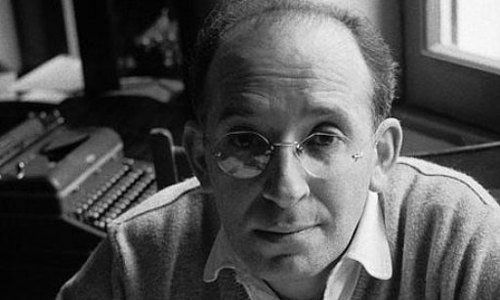 Malamud began writing seriously in 1940, when he was twenty-six, and soon after landed a job teaching night school in Brooklyn. 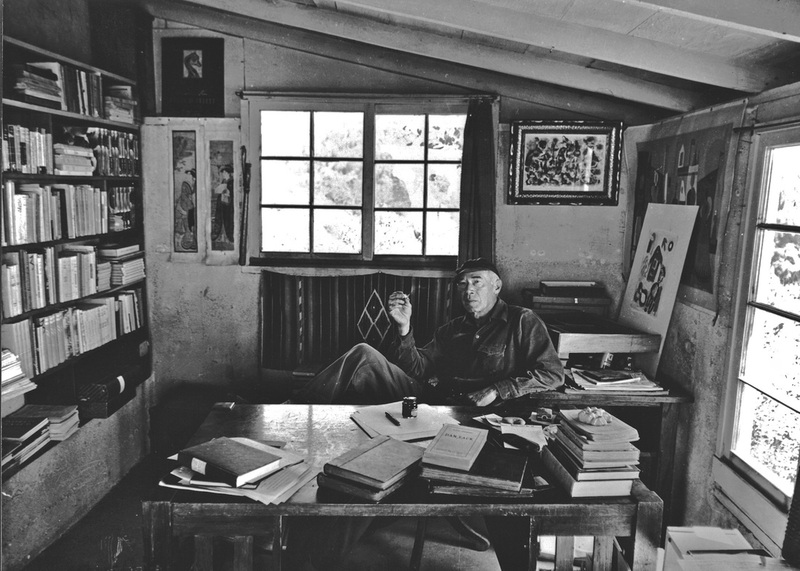 His classes were from 6:00 until 10:00 in the evening, so he was able to write for five hours during the day, typically between 10:00 A.M. and 5:00 P.M. with a break at 12:30 to eat lunch, shave, and read for an hour. After eight years of this schedule, Malamud accepted a university teaching position in Oregon, moving there in 1949 with his wife and their young son. At the time, he had yet even to sell a story. 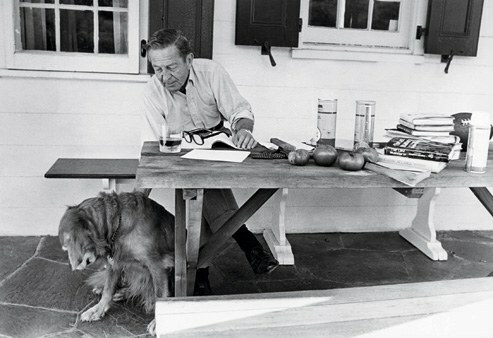 But over the next dozen years he wrote four books, thanks in part to a favorable teaching schedule. 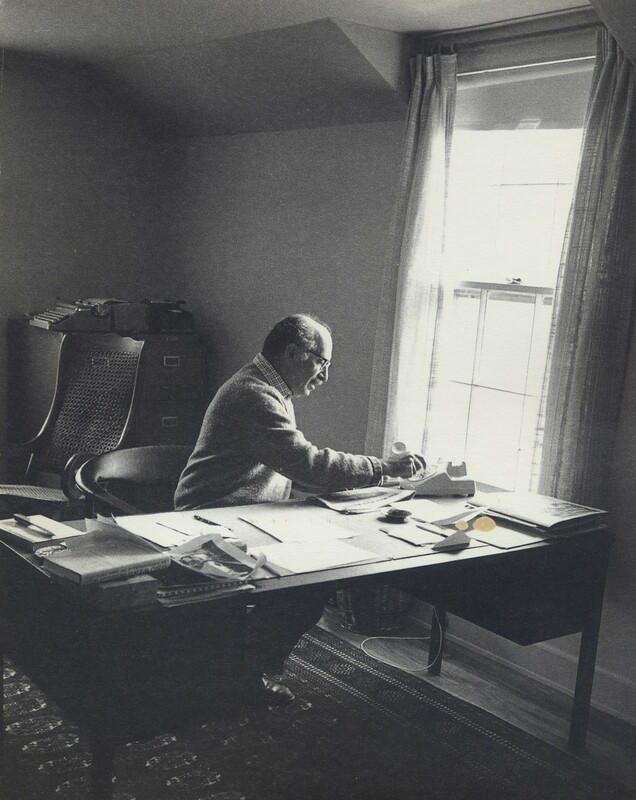 Mondays, Wednesdays, and Fridays were devoted to classes, office hours, and grading papers; Tuesday, Thursdays, and Saturdays Malamud spent on his novels and short stories (“and I sneak parts of Sundays,” he said). 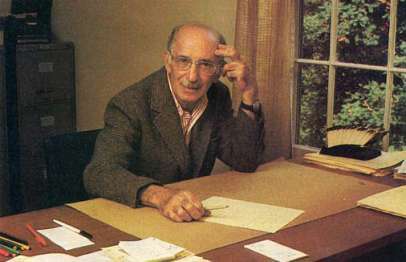 On writing days in Oregon, Malamud rose at 7:30, exercised for ten minutes, ate breakfast, and arrived at his office by 9:00. A full morning of writing usually amounted to only a page, two at best. 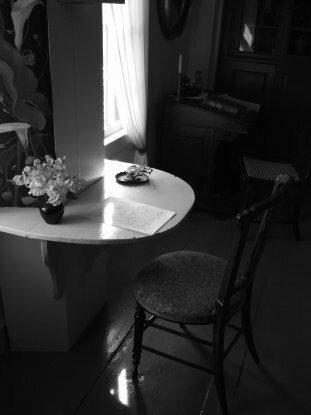 After lunch, he revised the morning’s output, then returned home around 4:00. A short nap preceded domestic activities: dinner at 6:15, conversation with the family, help with the children’s homework. 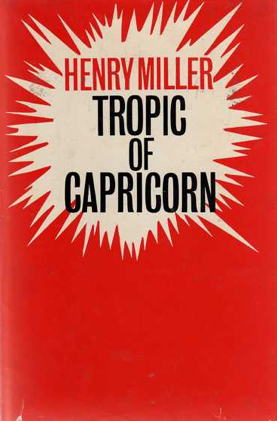 After the kids went to sleep, Malamud read for three hours–he usually spent half the time on fiction, half on nonfiction connected to his stories and novels–before going to sleep at midnight. 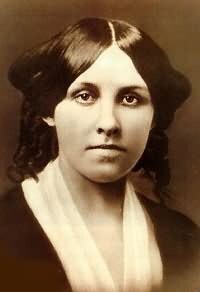 Louisa May Alcott (1832-1888) was an American novelist best known as author of the novel Little Women and its sequels Little Men and Jo’s Boys. 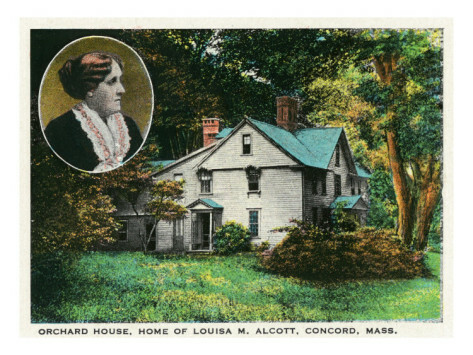 Published in 1868, Little Women is set in the Alcott family home, Orchard House, in Concord, Massachusetts and is loosely based on Alcott’s childhood experiences with her three sisters.The Alcott family moved into Orchard House in 1858. 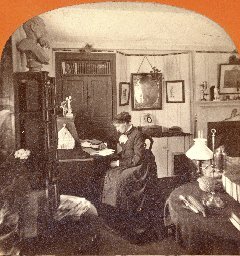 In 1868, Louisa May wrote Little Women in her room on a special folding “shelf” desk built by her father. She wrote it over a period of about ten weeks. 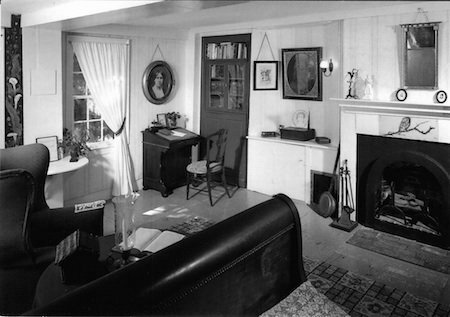 Louisa May Alcott’s Bedchamber, where Little Women was written on the small half-moon desk between the two front windows in 1868. 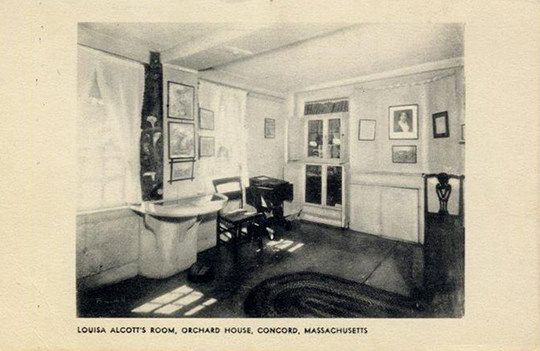 Images courtesy of Louisa May Alcott’s Orchard House.